Home MY STYLE style My favorites colors! Hello Ladies and Gents, Hope everybody is having an amazing week! In this post I am sharing a look with three of my favorites colors, I can just live with this 3 basic colors and create many outfits with, I love them. Hola Ladies and Gents, espero estén pasando una semana maravillosa. En este post les comparto un look con mis tres colores favoritos, podría vivir solamente con estos tres colores básicos y crear muchos looks. Simplemente me encantan. 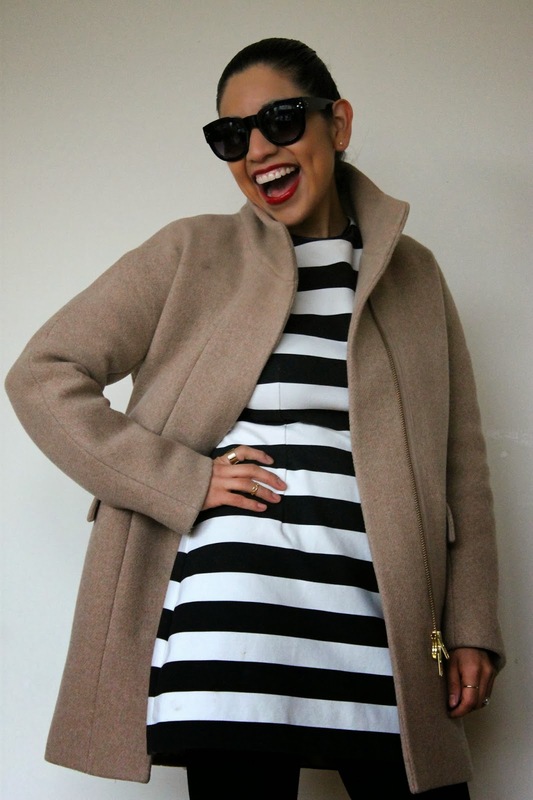 Abrigo: J crew, vestido: Zara, Lentes: Celine, Zapatos: Prada, Accesorios: J crew y H&M. Maquillaje: Fit me Maybelline, Labios : Mac Glam 1.